Yosemite is simply a magical place. No matter when one visits, something incredible is to be seen. I'm always hard put to select my favorite time of year, but usually the answer ends up along the lines of "whenever I happen to be there" (though crowded, hot, and dry August is probably my least favorite). On a whim, Mrs. Geotripper and I decided to go visit the valley today (and believe me when I say I never take it for granted that I can go to Yosemite on a whim). After a smashing start to the water year, it's been dry for several weeks, so we weren't expecting snow and neither were we expecting to see waterfalls. Yosemite and Bridalveil falls were doing okay, but the lesser-known smaller falls like Sentinel, Ribbon and Silver Strand were dry or nearly so. But we weren't disappointed at all. The air was crisp and transparent, and the winter light brought out contrasts that are sometimes missing at other times of the year (like the smog of summer caused by hundreds of campfires). So, today's photographs offer up some of the beauty of shadows and reflections. 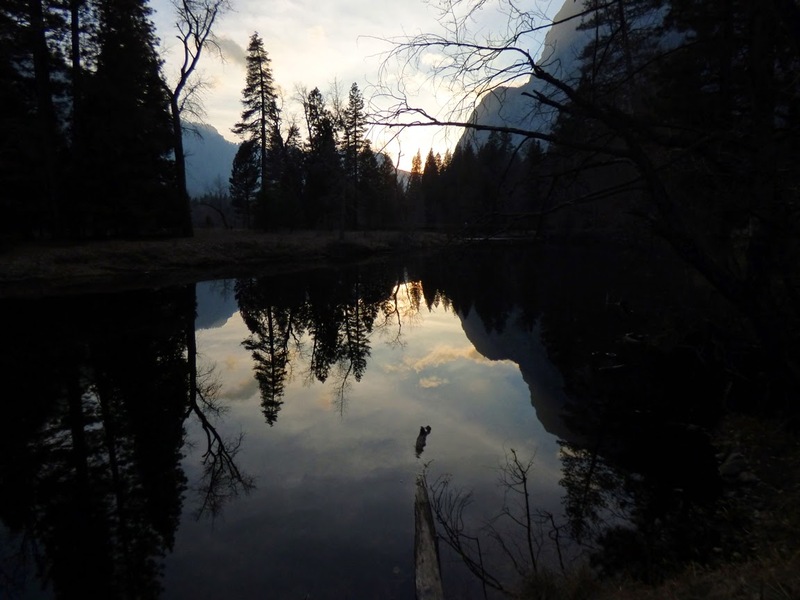 The first picture is of course Upper Yosemite Falls reflected in the Merced River at Swinging Bridge. We don't stop there often because most times of the year the parking lot is more than full and people are everywhere. Today it was the busiest spot we saw, but on this winter's day (with football playoffs going on) that meant maybe one or two dozen people spread out along the river and picnic area. Looking west we could see the Cathedral Rocks in shadow (the second picture). Sentinel Rock towered over us (the third shot). A bit later we had circled the valley and stopped at Sentinel Bridge, which to my great surprise and delight had but a single car in the parking lot! We quite literally had the meadow, usually one of the single most crowded spots in Yosemite Valley, to ourselves. We spent a peaceful hour wandering the meadow and taking pictures of the Cathedral Rocks again, and reflections in the Merced River. 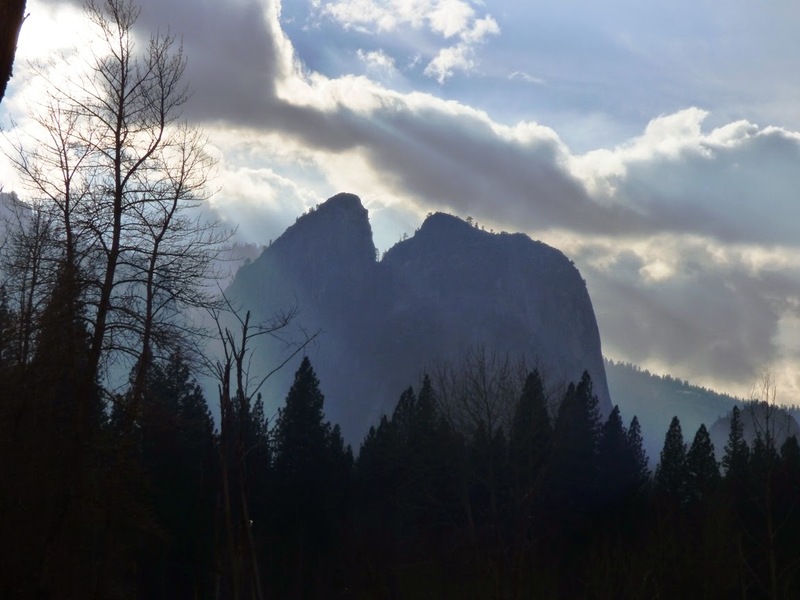 Many people like spring in Yosemite. 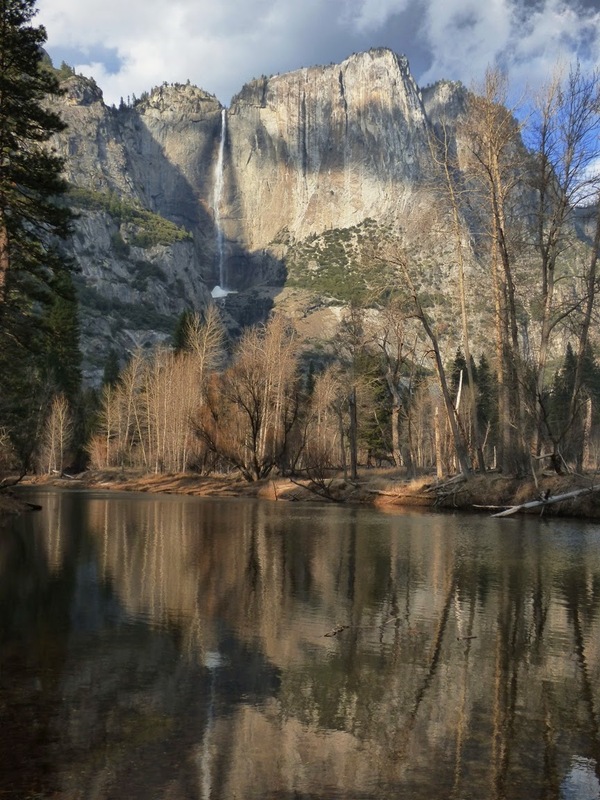 The meadows are turning green, the waterfalls are booming, and the Merced River swells to fill the meadows. The dogwoods are blooming. Some people like fall the best, as the dogwood, oak, and cottonwood trees are aflame with yellow, orange, and red. 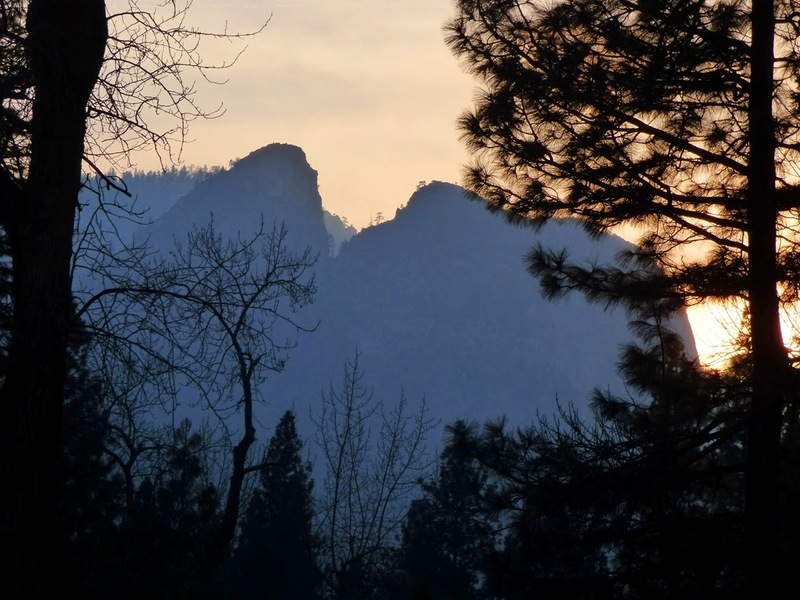 Some people like summer, because that's the only chance they have to see the place, and the high country (Tuolumne Meadows and Glacier Point) is available. Winter is a special time, especially when new snowfall graces the valley floor. But what about the dry days of winter after the snow has melted away, and all the deciduous trees are barren of leaves and the falls are barely trickling? All I can say is that of all my visits over the years, this quick excursion was one of my favorites. 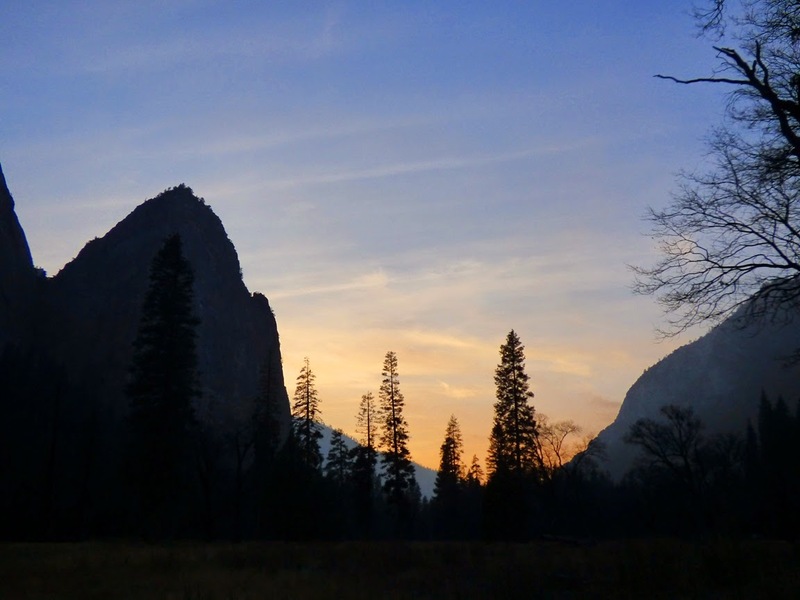 It isn't often that one has a place like Yosemite to one's self, and there was more than enough beauty to go around. Great photography! 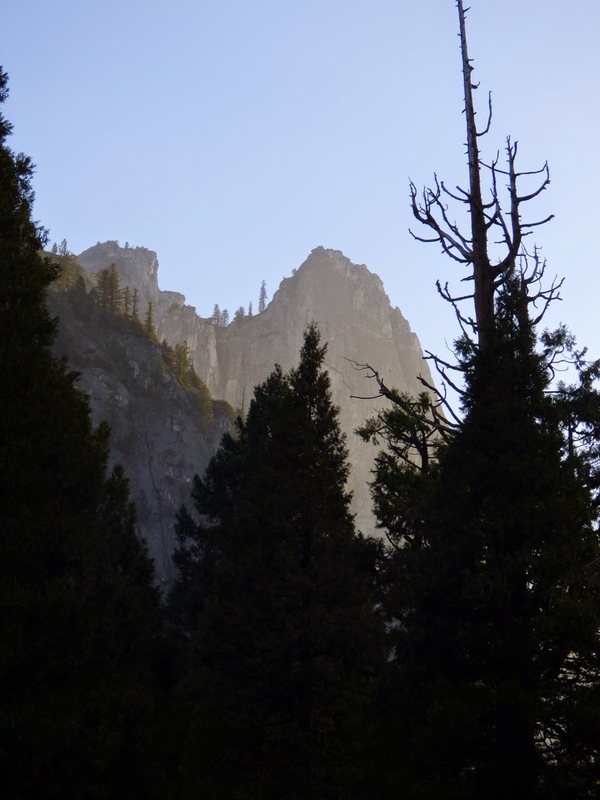 I was really excited to stumble across your post because I'm driving out to that area in a few weeks and something I've yet to do is visit Yosemite. so -high five- for making me more excited for my trip! Thanks for the kind comments! I hope you have a great time in the Valley. They might pick up some snow this weekend, so you might be in for a treat.